Welcome to the hosted buyer application form. Please complete the form as fully as possible. Only out -going agents will be considered for the hosted buyer programme. If your company is registered in the EU then please provide your EU VAT Nº. If you do not have a valid EU VAT Nº then you will not be exempt from 21% VAT on top of the registration fee. In the unlikely event of not having a web site then please enter the address www.iwinetc.com otherwise the form will not send. Please provide a cell phone contact number in case we need to contact you during the event and in the case of any emergency. The number you provide is for internal use only. By completing this application form It is understood that you are highly interested in bringing clients to the Basque Country, Spain. Please list other countries naming specific wine regions of interest. Please provide a descriptive text about your product portfolio and customers. Also state your main aims for attending the event This info will appear in the Workshop catalogue so please be as precise as possible and avoid being wishy washy. Agents with registered companies in the EU must provide a valid EU VAT number otherwise you will not be exempt from 21% VAT on top of the registration fee. Payment only becomes due if we are able to offer you a place. By clicking the I agree box below, you acknowledge the agent terms & conditions as set out below. By completing and submitting the agent application form, the agent understands that his/her registration must be confirmed, in writing by Wine Events Worldwide, before participation is allowed. The Registration fee once paid is non refundable. Wine Events Worldwide or the hosting function hotel are not liable for any claim of theft, damage of property, or injury sustained while participation takes place.In the event of cancellation of the programme, or any part thereof, due to civil discord, terrorism, military action or natural events occurring without fault on the part of Wine Pleasures, there shall be no refund of fees paid, travel costs, nor expenses incurred.The agent is responsible for all travel arrangements and costs incurred to and from the event. It is the agent’s responsibility to secure and pay any fees in relation to a visa, if appropriate for Spain. The agent understands that his/her presence is required at all official Wine Events Worldwide functions as indicated in the programme. The agent shall not take part in non-Wine Events Worldwide functions which would preclude his/her attendance at all published and scheduled official Wine Pleasures activities. 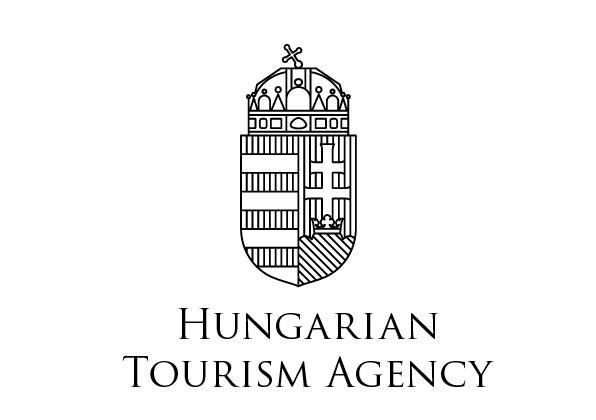 The agent shall also not participate in familiarization trips sponsored and supported by companies and organisations not participating in the Wine Events Worldwide event. No family members, friends or business partners of the agent who are not officially registered shall be admitted to the workshop.The agent understands that all participant arrangements and/or changes must be submitted in writing and confirmed by Wine Events Worldwide.The agent agrees not to use the workshop for his/her own commercial purposes by trying to sell or offer services or products (e.g. advertisements in their publications or website, tours, fairs, or other products and services such as insurance, telephone cards etc. ).The agent agrees to have secured a minimum of 15 appointments prior to the event taking place. If a significant number of scheduled appointments are missed, the agent will be fully and solely responsible for all hotel accommodation charges. Agents will be required to submit their appointment schedules prior to the closing of the event.Agents wishing to cancel their attendance must do so in writing a minimum of two weeks prior to the workshop otherwise the Agent will be liable to cover hotel and other expenses if incurred. Important: Registration fees once paid are non refundable and non transferable. 4. Hotel accommodation Agents will be accommodated for a maximum of 6 nights (March 11 - March 16) and will have sponsored meals throughout the event as listed in the event programme. Any miscellaneous charges (extra night(s), room service, tours, telephone calls, business centre services, etc.) incurred during the agent’s stay will be at his/her own expense. I give permission to Wine Events Worldwide to use photographs or video footage of me, taken at the Workshop event, for promotional purposes only. 6. Concluding provision Wine Events Worldwide shall have full power to interpret and amend the above mentioned terms & conditions which in its discretion shall be in the best interest of the workshop. The agent understands that the information contained in the workshop material constitutes part of the application contract and agrees to conform to all terms & conditions.